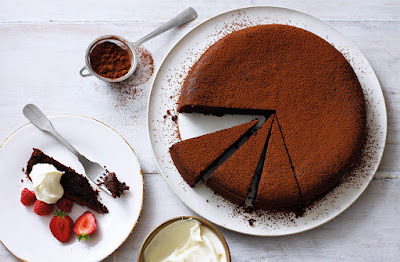 This might be the ultimate, moist and squidgy chocolate cake recipe to have in your baking collection. Lightly spiced and made with ground almonds and mild olive oil, this makes a fantastic pudding or treat, which is also gluten- and dairy-free. What’s more, it’s super-easy to make – just mix and bake.